Mobile, Alabama on April 8th, 2013 the first coil was processed. In true form, Steel Warehouse, went above and beyond to install the world’s first 1” coil-to-coil plate pickling system. 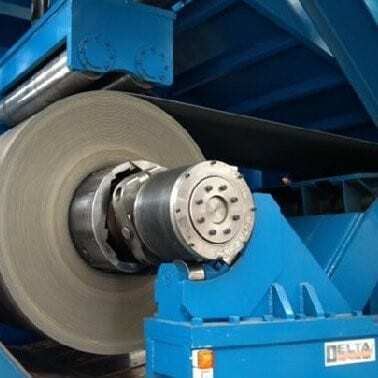 Delta engineered and manufactured the equipment in Irving, Texas using solid modeling to size the mammoth equipment to handle the unforgiving material. Delta’s engineering and Steel Warehouse’s operating experience converged to build this engineering marvel.